Now this all depends on what you want from wedding pictures of course, but my worry is that wedding photographers these days are so preoccupied with impressing each other, winning awards, getting a pat on the head, being featured in articles and generally rocketing themselves to internet ‘featured’ stardom that they’re losing sight of what we’re actually here for…..to give people memories, the kind of memories that show how people really felt, what they were experiencing, how much their families and guests think of them, and how much two people think of each other. 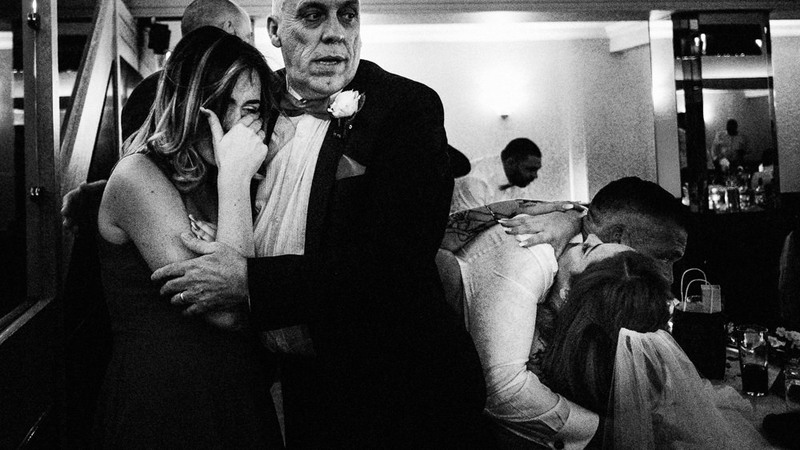 Emotion isn’t an easy thing to photograph discreetly, certainly not without potentially affecting how people behave or simply stopping it happening. I don’t much for people stood in field looking bored, or titting about with prisms while a couple tries to look like they’re having a romantic moment for the camera - nope, I care about the real emotions that happen, how people are feeling and trying to convey that in photographs. I couldn’t give two hoots of my pictures get 1000 likes on facebook or instagram, ALL a care about is the people who’s wedding it was are deeply moved by how incredible their wedding actually was, the reactions and interactions of the people there, and if those pictures get no likes or fame or anything else, good - because I’m there to serve my couples real memories, not photograph for applause by random strangers.